In a blender mix chick peas, lemon juice, artichokes and 3 tbsp of water. Blend. Then add tahini, garlic, salt and pepper and puree until smooth. Place in a nice bowl and top with paprika cheap amoxicillin 500 mg. Done! Eat with broccoli, cauliflower, carrots, cucumber, zucchini sticks or any other vegetable you like. 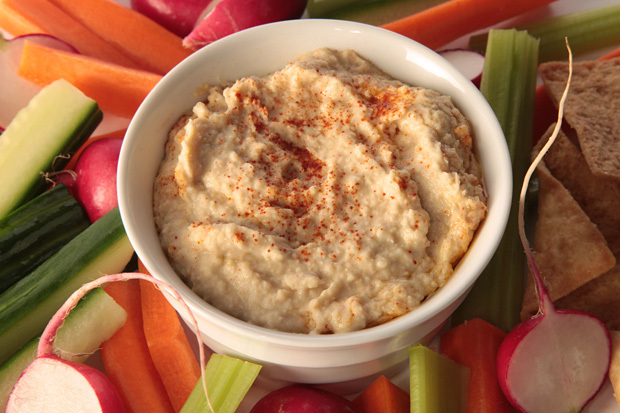 Hummus is packed full of nutrients and a great source of protein and rich in the nutritious fats your body needs to proper nerve/brain function. It is also high in iron, vitamin C, manganese and vitamin B6. Tahini is high in calcium, raw garlic is great for your immune system and the lemon juice is great for your digestive system. Chickpeas have no saturated fat, no cholesterol, they improving blood sugar levels and help reduce LDL (“bad” cholesterol). Tryptophan, phenylalanine, and tyrosine are the amino acids found in hummus that can promote good quality sleep and uplift one’s mood.